So how well are things going in the United States’ third war? Well, months of operating a no-fly zone over the no-fly zone, sanctions, interdicting ships entering port, striking at government forces and overall just supporting the rebellion has really started to put the heat on leader Moammar Gadhafi. And while some people might be following the news, how well do you know the geography? Do you know your Azzawiyas from your Sirtes? 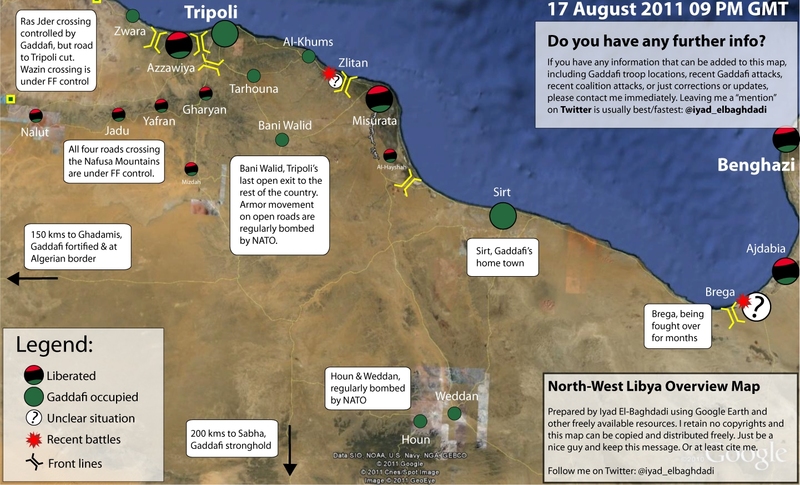 Well, we’ve got a pretty neat map showing how bleak things look for the Gadhafi government. And according to a few media outlets, the operation that was supposed to last “days, not weeks” might actually be over in a few days. Or a few weeks.